MONEY ADVICE: Those between benefits and top dollar will feel the full force. IF THE ALP comes to power and ­delivers on its threat to scrap cash rebates on franking credits, what could you do? An investor might reframe the question in this manner: is it better to take drastic action and sell down all self-managed superannuation fund assets, transferring the wealth to the investor personally and in so doing remove the cost, administration and trustee responsibilities attached to running a SMSF? After the public uproar that ­resulted from the initial policy ­announcement, Labor revised its proposal to allow SMSFs with at least one member receiving a Centrelink pension or allowance as at March 28, 2018 to continue to be eligible for cash refunds of excess franking credits. The outstanding problem with the policy proposal is that it discriminates against people in the middle. People with low income and assets are exempted and people with significant assets in super are only partially affected. The reason the rich continue to benefit is that with the relatively recent balance transfer caps, only $1.6 million can be held in a tax-free super pension per person. For those with money in super above $1.6m, the excess needs to be held in the super accumulation account, taxed at up to 15 per cent on income and gains. In other words, because the ultra rich will still have significant funds in the super accumulation account that attracts 15 per cent tax, they will continue to use franking credits to reduce tax on the accumulation account, and therefore may be largely unaffected by the policy change. But it is the people in the middle who are hardest hit, deemed too wealthy to receive Centrelink benefits, but not wealthy enough to have more than $1.6m in super. They feel the full force of the Labor imputation credit changes. 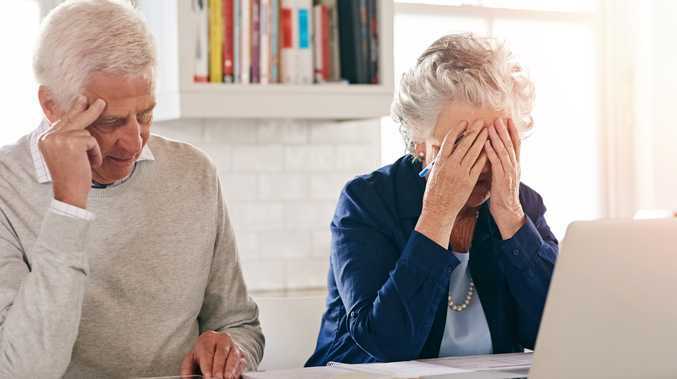 For the $1m SMSF with a ­retired homeowner couple as ­trustees and members, they're over the threshold of $848,000 to receive a part age pension, and thus targeted by the Labor policy proposal. 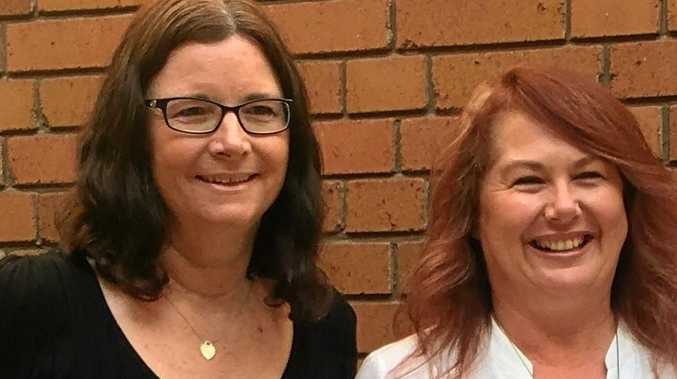 If they held 25 per cent of the super fund in fully franked shares paying an average 6 per cent dividend, that equates to franking credits of about $6500 a year at risk of being lost. Some SMSF trustees may cop it on the chin, while others may close the SMSF and deal with the money outside super. (This example is typical; the average cash refund cheque is close to $6000). Exploring that path in more detail, if the investments are transferred out of super into a joint personal investment account and generate an average income return of 6 per cent, with 25 per cent of the income being from fully franked dividends, that equals grossed-up taxable income of $66,428 including $6428 of franking credits. If each spouse is allocated half of the income, $33,214 per spouse, tax payable is $2872. After franking credits are applied, there is no tax payable, with $342 in franking credits still to spare. The big drawback to this approach is that you're now exposed to capital gains tax personally. So it depends on how you manage your investments as to whether this approach works for you. If there is moderate turnover of the portfolio with gains being realised each year, not only will your investment income be taxed, but you may end up with a large tax bill due to realised capital gains. Another consideration is that the policy may change over time. Labor may further water down the policy or even reverse it. If it works out best to hold money inside super in future, irreversible damage would have been done by those who shunted money out of super, which, due to a combination of contribution caps and work tests for those over 65, makes it extremely difficult for people to get money back in super down the track. And it doesn't stop there. ­Estate planning also needs to be considered. As you can see, what appears a simple policy announcement will have an enormous ripple effect on millions of people in retirement and for their children. In summary, there are so many variables that working out the best outcome, both now and into the future, is confusing and highly mathematical. The policy is estimated to bring in $59 billion in savings over the next 10 years for Labor. But the people most likely to be affected are not the mega-wealthy but the hard-working mums and dads who diligently contributed into super over the past 20 years under the assumption it would be a protected environment that would allow them to draw an income stream in retirement. This story was first published in The Australian.